Cenogenics Corporation has been involved in important health screening programs since 1982. One of Cenogenics wholly owned subsidiaries actually invented Hemoccult, the original guaiac occult blood test. After the sale of the product to Smith Kline, Cenogenics was able to continue the development of the guaiac chemistry that lead to a more sensitive test with excellent stability. The American Cancer Society adopted the Cenogenics Trislide™ Stool Blood Test for its United States nationwide colorectal cancer screening programs. Since the incidence of colorectal cancer increases with age, countries around the world have undertaken colorectal cancer screening of men and women by age 50. 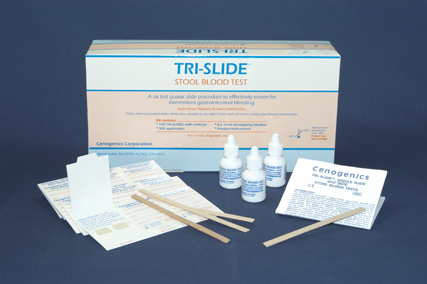 Cenogenics is proud that patients lives have been saved by using the Trislide™ test. Cenogenics health interests have helped individuals monitor their diet progess. Since it often takes four weeks for weight loss to be noticed, Cenogenics realized that a simple at home diet test could encourage dieters by letting them know that their diet was working. When an individual begins a diet, the body begins to metabolically utilize the fat reserves for its metabolic needs. As the stored fat is metabolized, chemicals called ketones are created and are excreted in the urine. 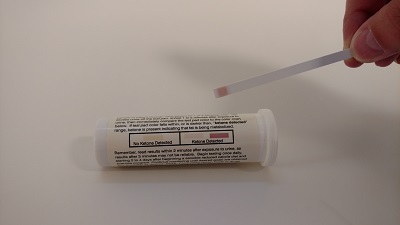 Cenogenics diet ketone strip test became very popular and was sold through very large distribution in the United States and other countries. Cenogenics interest in home use health monitors lead to another very significant new product. Approximately 16 years ago, three scientists won the Nobel Prize for showing that nitric oxide had a very important role in human health. Based on the Nobel laureate scientists’ work, a young scientist developed a special natural ingredient formula that enhanced the body’s ability to produce nitric oxide. However, to show users the nitric oxide health formula worked, the scientist enlisted Cenogenics help to produce a diagnostic strip test that, when used with saliva, would accurately show the increase in nitric oxide level they achieved with the nitric oxide health formula. Now hundreds of thousands of nitric oxide strip tests are sold every year to people using the special health formula. Insurance companies and other companies involved in health awareness programs have been working with Cenogenics to develop tests and programs to overcome the adverse effects of stress. Several years ago, Cenogenics developed a reliable visual chemistry system that safely allowed home users to screen for malondialdehyde, also known as MDA. The presence of MDA in the urine is a useful indicator for oxidative stress and cell membrane damage due to free radicals. 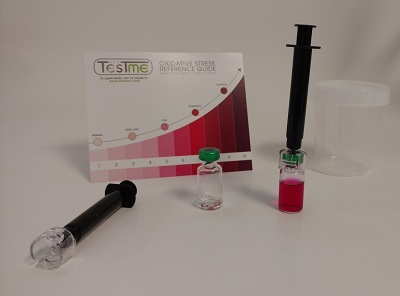 Recent studies have developed a technical breakthrough that has resulted in an MDA strip chemistry test that has excellent sensitivity and stability. The excellent performance of Cenogenics products have aided the health of individuals worldwide.